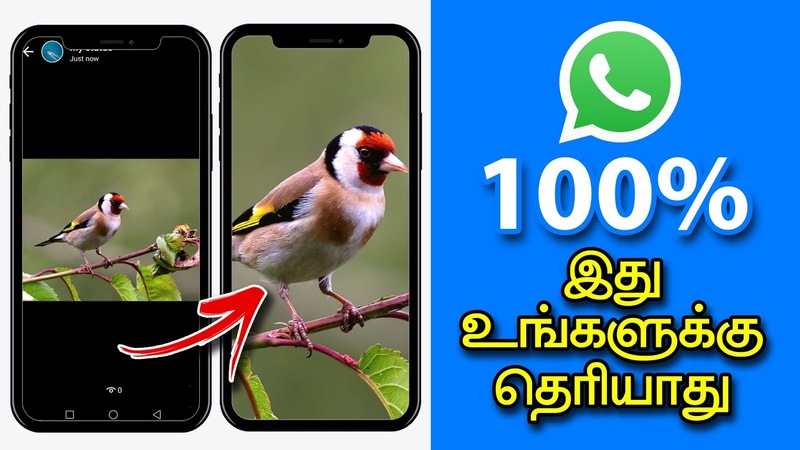 Hi, friends today in this post we have to see that how to set full-screen WhatsApp picture status. Please share this post with all your friends. Normally all peoples are like to update their pictures as Whatsapp status. If they set that the picture comes only half view rectangle size. In here we have to see that how to set your normal picture as WhatsApp full-screen status. For that, we have to use the best video editor app. In this app, there are several good options. Amon them the best one is square type editing. First, select the picture you want to set in WhatsApp. After that Enter any title for that, then select the options menu and select square option. After finish editing select download option. Now the editing video is download in the mobile gallery. Open your WhatsApp and select the status bar. Select the editing video and set it to the status. Now you see the Image will come as Full-screen WhatsApp status in amazing effect. You can customize your images with various styles of music, effects and filters from here. – Best quick analyses and smart editing tools. – Perfectly detects the faces and colours to frames. – Able to adjust font styles and different types of Filters.